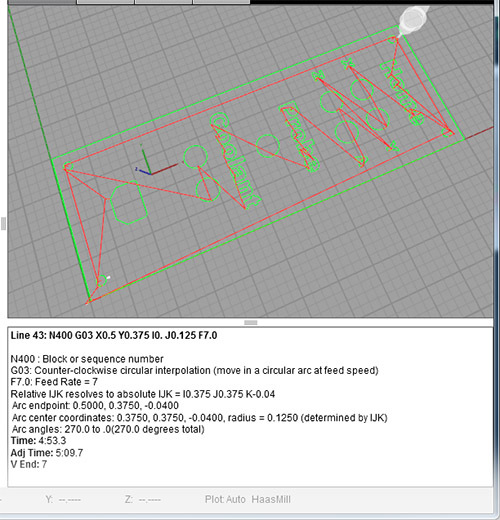 Here’s a look at why thousands of CNC’ers trust G-Wizard Editor to Test and Prove their GCode. 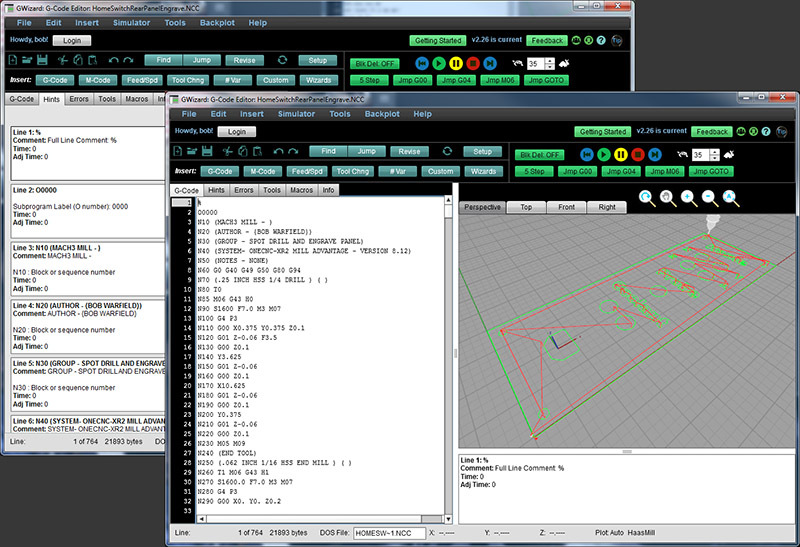 Plus, there’s lots of extra information like Arc center and radius, Angle of arc, Absolute end coordinates of every move, and much more. 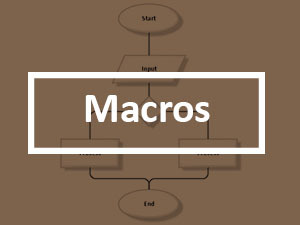 Your machine doesn’t just expect you to look at the backplot and figure it out–it has alarms. 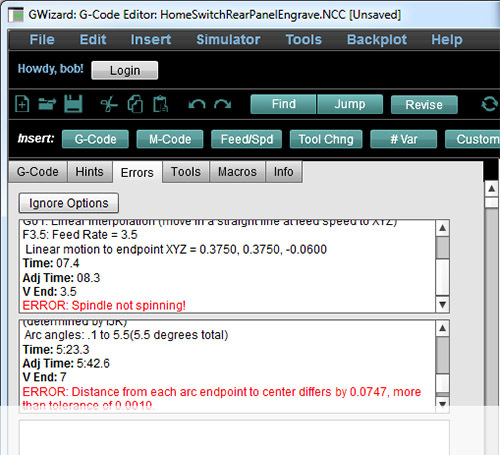 Most Editors just give you the backplot, but G-Wizard has an array of powerful error checks, messages, and a dedicated tab that shows you all the errors and warnings for your gcode. 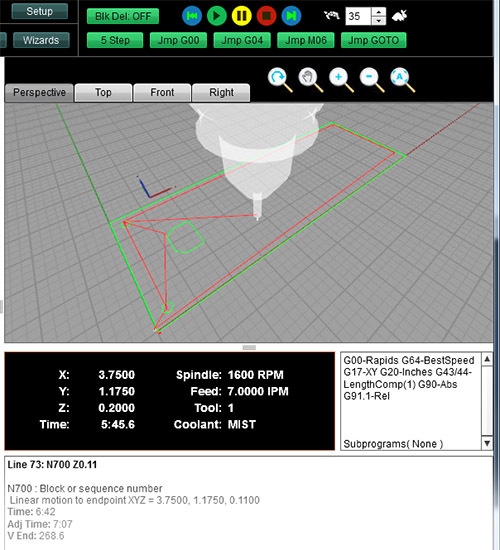 Macros, subprograms, and parameterized programming give you loads of gcode programming power. 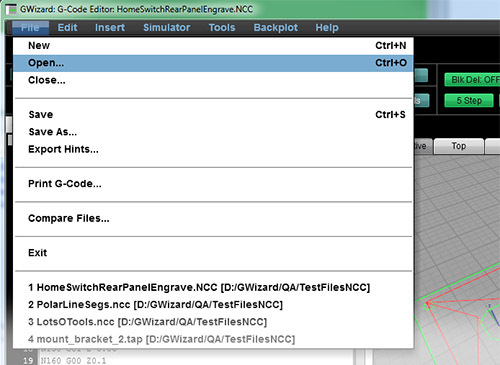 G-Wizard Editor gives you the tools to simplify, understand, and harness that power. 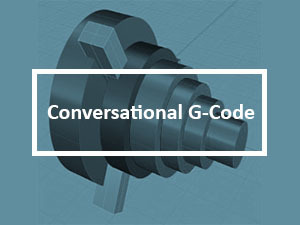 Ready to Simplify Your G-Code? Quick setup. 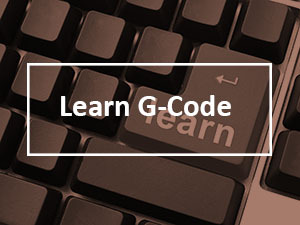 Free for 30-days. 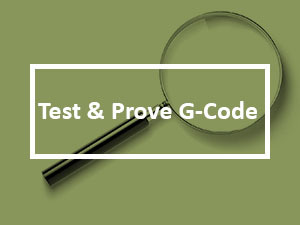 Get Started Simplifying Your G-Code Now!